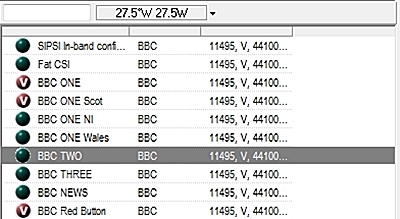 The main PSB channels from the BBC, ITV and Channel 4 are available on Intelsat 907 at 27.5° West. This service is a backup for Freeview and carries PSB channels from the BBC, ITV, Channel 4 and Channel 5. It is often referred to by its network name BBC-SATBACK. It is a backup of Freeview multiplexes PSB 1 and PSB 3, it is not intended for direct-to-home (DTH) reception. All the channels including radio are encrypted using the BISS encryption system. Many cheaper satellite receivers cannot find the channels as they are transmitted as data services, the video and audio PIDs need to be added manually on some receivers. The Symbol Rate used 44100, is rather high and unusual, though even the cheapest DVB-S2 satellite receivers these days, can handle the unusual Symbol rate used by the service. There have been reports of problems with the HD channels, video can be viewed, though no audio is available. 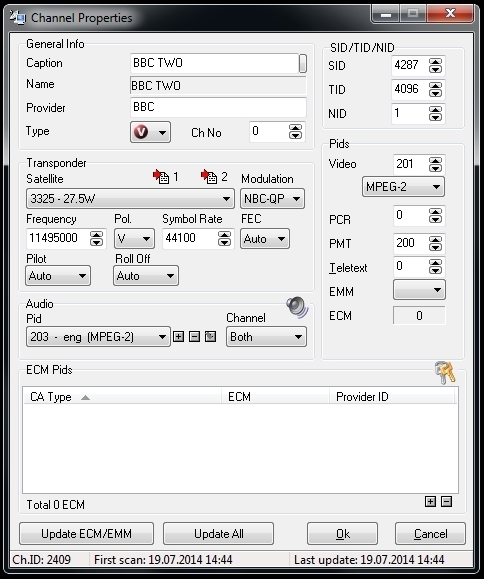 To obtain audio on HD channels, AAC sound codec must be Switched on or a plugin installed. If you are using a Sat PC S2 DVB card, only update plugin AAC sound codex, that said, many HD receivers work without any audio problems. Screen resolution is reported to be either 544 x 576 or 720 x 576 for standard definition channels in MPEG-2 and 1920 x 1088 for high definition channels in MPEG-4. The service uses Spot 2 on the Intelsat 907, this covers most of northern Europe, the Iberian peninsula, and some areas of North Africa (Morocco). Reception may also be possible in the Canary Islands. It is operated by Aquiva. All the channels seem to be ‘flagged’ as data, this is confirmed using DVB Dream software. Right-click the channel to be edited and go to ‘Channel Properties’. 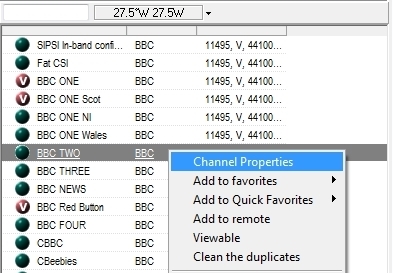 Right click on a channel, then click ‘Channel Properties’. All channels are listed as data. What needs to be edited? 1. Under Type – Change to V (TV channel) or R (Radio channel). 2. Under Pids, Video, enter the channels Video Pid. 3 Under Audio, Pids, enter the channels Audio Pids. There is the option to choose Both, Left, or Right Audio channels. The channel is now listed as an encrypted video channel. On DVB Dream use the BISS Plugin (install this plugin, it is not installed in DVB Dream). The BISS key consists of 16 digits (8 x 2 digits). 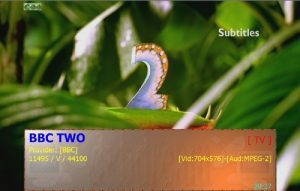 Some programmes or receivers may require a 12 digit key. To obtain a 12 digit key, remove the 4th and 8th groups of digits, these are checksums. Then press Set. The channel should now be open. Repeat the process for all channels individually. 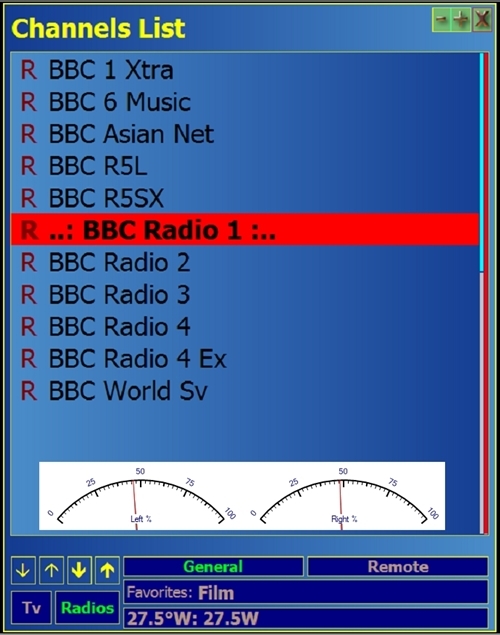 Radio channels are also listed as data, change this to R (for Radio) under channel option. Add the Audio Pids, there are no Video Pids.